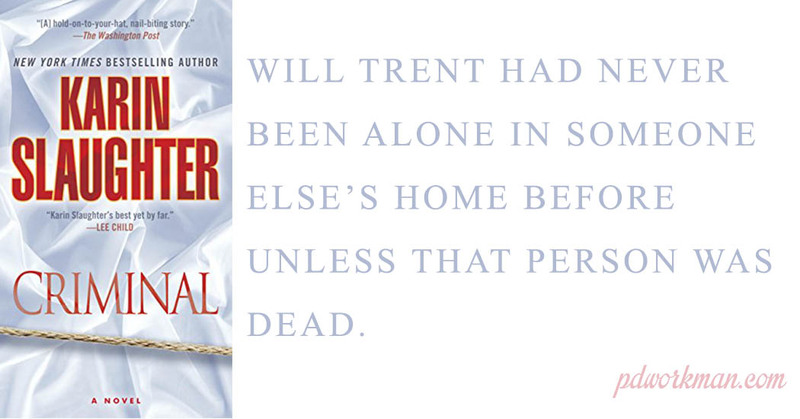 I am currently reading Karin Slaughter's Criminal, book 6 in the Will Trent series. I have not read any of the other books in the series, but haven't had any problems with jumping in mid-series. While the series is named after Will Trent, the story has been more about his boss Amanda than about Will. I do want to hear more about Will and might have to check out some of the other books.